This is simply a matter of economy of scale: You save money when using 3PL because the high volume of freight means the 3PL company secures favorable rates when it pools orders together. Furthermore, you have to find ways to get your goods to their destination using different methods of transport. When this responsibility falls on your shoulders, it can be tricky to get all the moving parts to work together. A 3PL company does this all for you, consolidates shipments, and passes the savings onto you. Take a close look at where you are spending costs on labor to figure out if your current setup is the most efficient. This can be a large chunk of the price of logistics. When you outsource to a 3PL partner, you’re only paying for the labor you need versus having staff on-hand that needs to be continually trained and may or may not have any incentive to work harder, faster, smarter, or better. 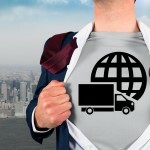 This is why a 3PL company can help save logistics costs. A 3PL partner has a direct line on the most cost-efficient ways to ship products. As dedicated logistics providers, they make it their business to manage costs in ways that you might not be aware of or able to do yourself. There is constant dedication in order to improve processes that will make shipping more efficient. Kitting, sometimes referred to as product bundling, means that related items are sometimes packed together to form a single ready-to-ship item. When the various items within a kit are readied for shipment together, this is assembly. By assembling products this way, each item doesn’t have to be weighed and labels can be printed in advance, so fulfillment becomes quicker and less expensive. 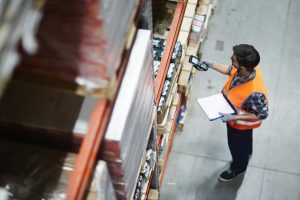 A 3PL partner is an expert in inventory management techniques. This could include utilizing a postponement strategy that only distributes your products when there is receipt of a customer order. This is just one way of deploying inventory in the most efficient way possible. Furthermore, with a wide array of tools to track inventory, the process is even more transparent than ever before. If you’re wondering how your current logistics system stacks up, then it is time to create a scorecard that measures performance of key indicators. This includes looking at how often shipments arrive on-time, whether billing is accurate, if shipments are free from damage, the performance of your drivers, customer service reviews, and equipment maintenance performed. A 3PL partner has to deliver in all these areas in order to provide superior carrier performance. There are some companies that continue to rely on manual processes such as Excel spreadsheets or outdated software programs. A 3PL partner will have technology like order management systems, warehouse management systems, and transportation management systems. This means that you can allocate inventory in different locations as well as track inventory, shipments, and more in real time. Cloud-based technology allows data access to anyone with the web, including smartphones, tablets, or PCs. This is a tremendous advantage that gives you greater visibility and control over the entire logistical chain. The truth is, when you handle your logistics in-house, you have total responsibility over maintaining all aspects. If something breaks down, you are tasked with fixing it. A 3PL partner with a vested interest in delivering the best service possible will continually keep all equipment maintained proactively. This saves you from needless expenditures or other capital costs for repairs that you may never be able to recoup. A 3PL partner will be able to get your orders fulfilled at a much quicker speed than you could likely do yourself. This is where experience, methods, and technology all work together to meet greater consumer expectations of fast product delivery. APS Fulfillment, Inc. can guarantee order delivery within 24 hours of a customer’s order being placed. By utilizing superior storage, packaging, labeling, and handling methods, a 3PL partner reduces product damage throughout the warehousing, order picking, and transportation phases of logistics. 3PL leaders use sturdy containers, with enough cushioning material and wrapping to protect products. Furthermore, highly-trained employees are working in unison to handle your products. It is clear that companies are looking for reliability, efficiency, and trustworthiness in a 3PL company. Furthermore, a logistics strategy of cost-reduction is essential for companies today that want to increase profitability. This is where APS Fulfillment, Inc. can help your business grow. We have the expertise on our team and the facilities to provide support for all of your fulfillment needs. Whether it be warehousing or delivery, we have separated ourselves from the competition with our superior level of service. We also offer direct mail marketing and fulfillment marketing. For more information or to request a quote about our services, you can contact us by e-mail at [email protected] or by phone at (954) 582-7450.